In July 2015, Professor Aly was granted Emeritus status at Ohio State. He started their in 1989 as an assistant Professor and gone through the ranks to reach full Professor in 2008. Professor Aly served on the Marion Campus, and in a number of positions in Columbus including Faculty Associate at the Middle East Studies Center, and Faculty Associate at the John Glenn Institute for Public Service and Public Policy. He is, currently, the Founding Dean of the School of Public Administration and Development Economics, and Professor of Economics at the Doha institute (DI) for Graduate Studies. Professor Aly was a Co-editor of the African Development Review (2009-2012), and of the Middle East Business and Economic Review (2002-2010). Professor Aly is a member of the editorial boards of the Journal of Development and Economic Policies, and of the International Journal of Applied Business and Economics Research. In 2004 he was elected to the executive board of the Middle East Economics Association, where he served as Treasurer, an Executive Secretary, and is currently the Association’s President. Professor Aly is a lifetime research fellow at the Economic Research Forum and as of 2012, he is on the board of trustees of this think tank of Middle East economics. In addition to teaching at Ohio State, Professor Aly taught, conducted research, and acted as a consultant in several countries in the Middle East including Egypt, Kuwait, Jordan, UAE, and Tunisia. 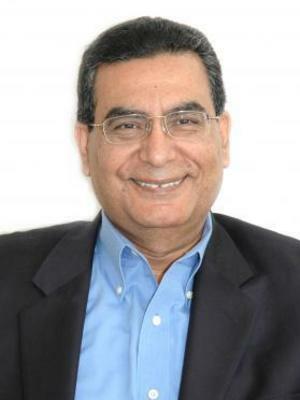 Most recently, Professor Aly served as the Chief Research Economist and Lead Economist of the African Development Bank (2009-2011), as Senior Advisor to the Minister of Planning in Egypt (Fall 2012), and as Director of Graduate Studies at Zayed University, UAE (2002-2005). He is the author of over forty articles published in professional journals including the American Economic Review, Review of Economics and Statistics, Economic Development and Cultural Change, World Development, Economics Letters, Applied Economics, and Journal of Developing Areas among others.